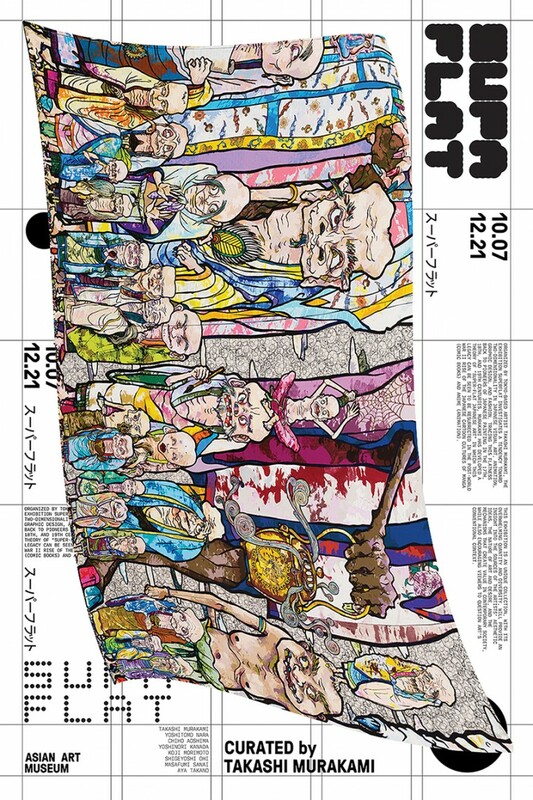 Hosted by the Asian Art Museum, this exhibition is organized by Tokyo-based artist Takashi Murakami. 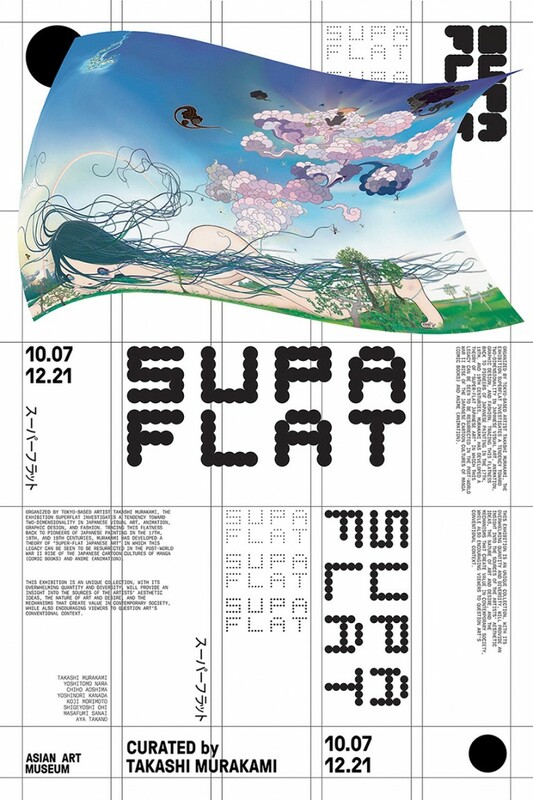 SUPAFLAT investigates a tendency toward two-dimensionality in Japanese culture. The exhibition presents works by 9 of the most exciting artists working in Japan today. All of these artist explore and exceed the limits of their respective genres. 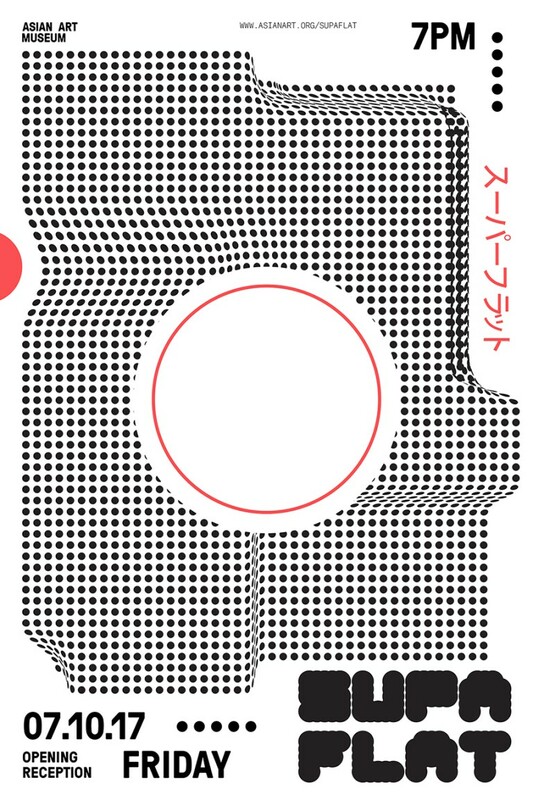 The genre is visually inspired by the techniques of anime, while respectfully preserving the cultural regulation of traditional Japanese art and culture. 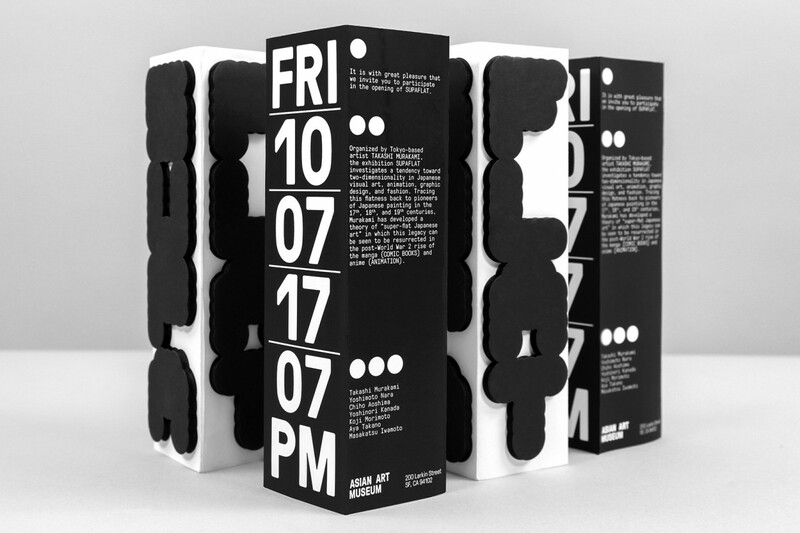 The graphic language is an answer to “How two-dimensional forms exist in a three-dimensional environment and vice versa”. 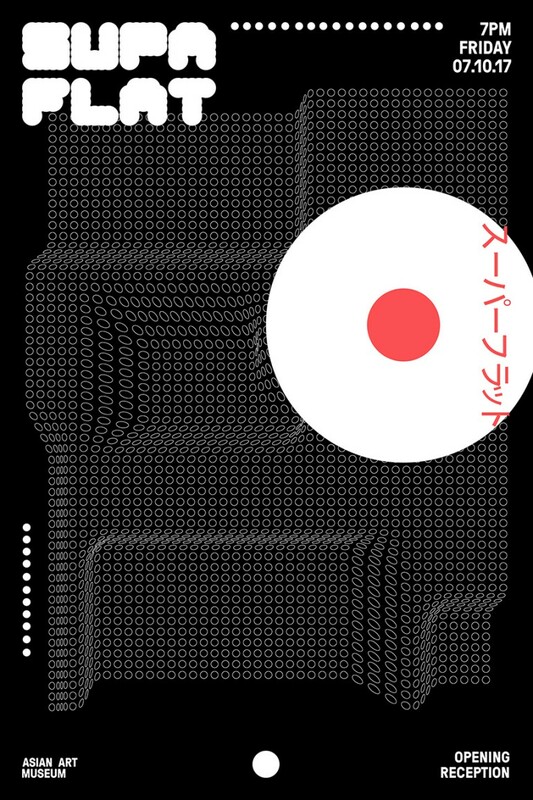 Images and artworks are distorted and modified to exceed out of the grid system, a decision responding to Takashi’s ideology. 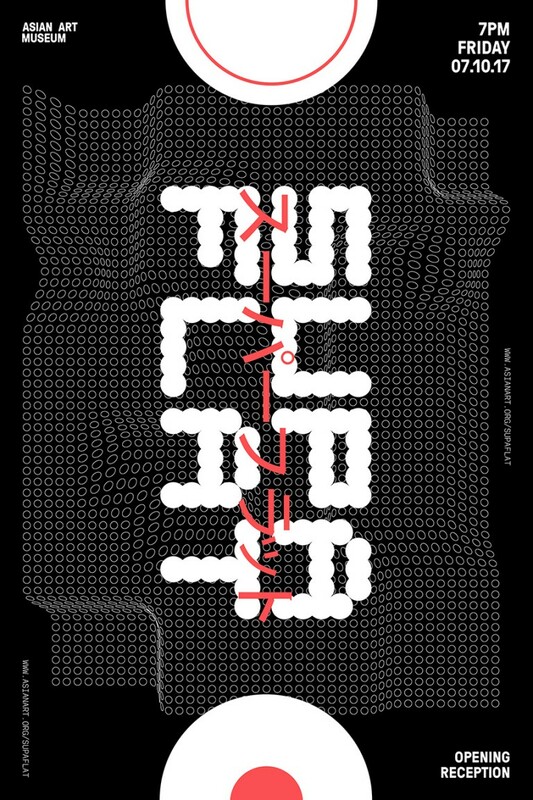 The design of the exhibition include DD_SUPA_display, a custom typeface created for the event. 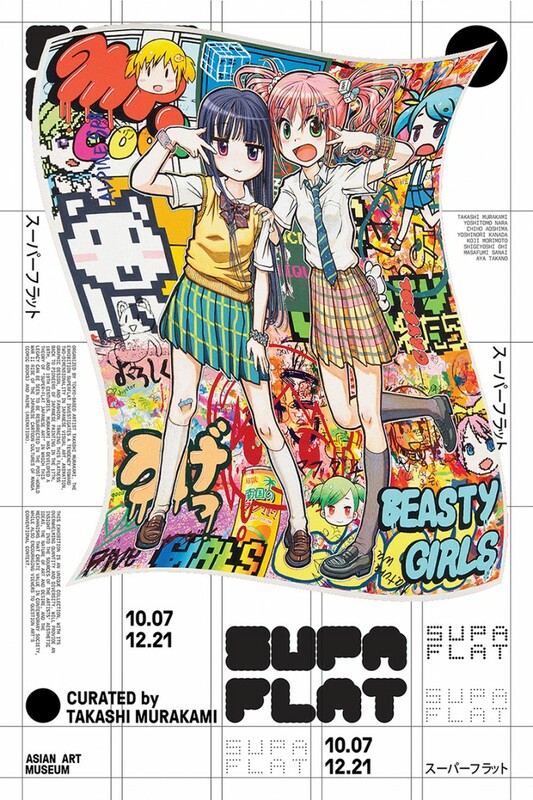 DD_SUPA_display is inspired from the rise of technology in Japan in the early 2000s, of which also had a heavy impact on shaping this new art genre.